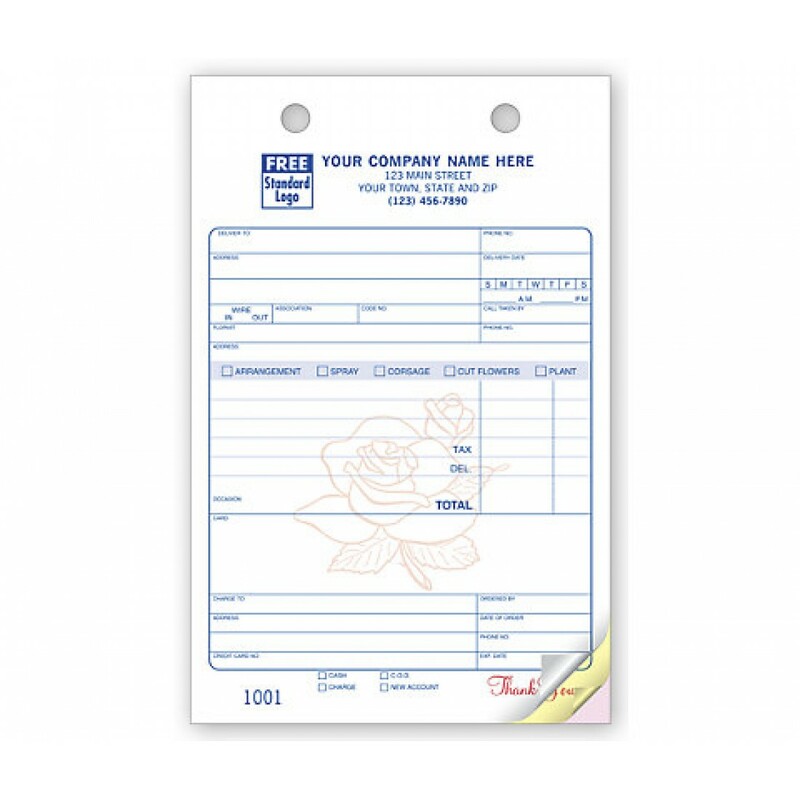 Flower Register Order Forms 672 At Print EZ. Flower Register Order Forms Item No. 672 Size: 5 1/2" x 8 1/2"
Organize with ease and precision all the data of your florist store by adopting our flower register order forms. The form has been neatly divided to take down the details of the order in one part and that of the delivery in the other. A small tick is all you need in order to determine whether the sale concerned a plant, an arrangement or was it simply cut flowers. This will save you a lot of time and also help avoid confusions. 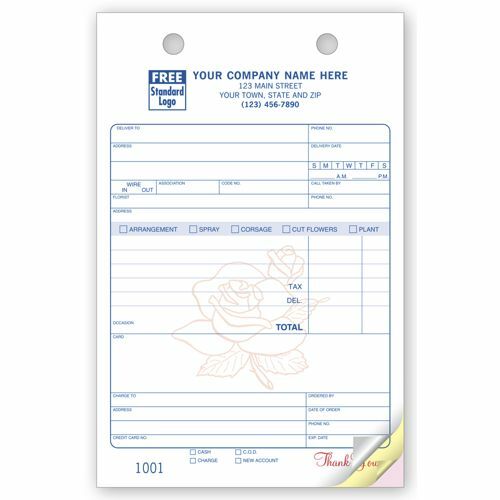 The lovely rose printed in the background goes a long way in adding a cosmetic appeal to your order form and also helps to identify the form quickly when mixed up with a bunch of other papers.